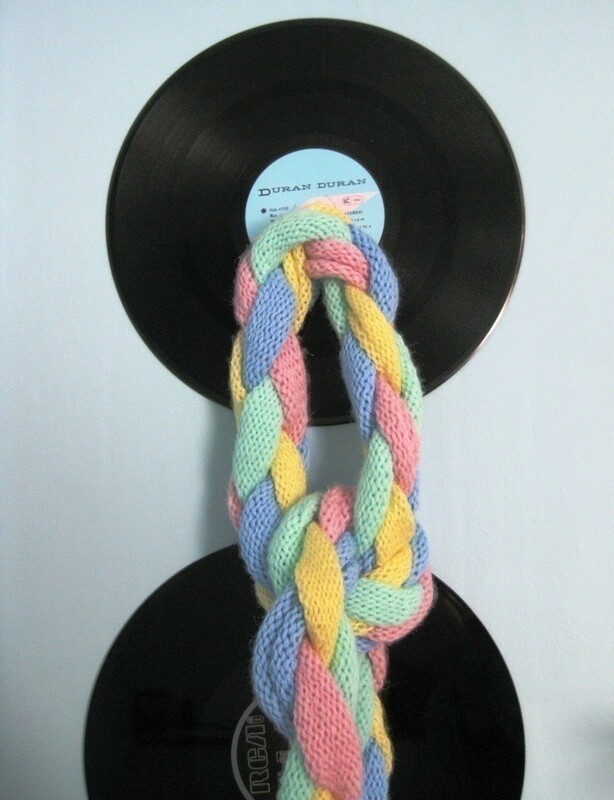 I made this scarf for the Super Scarf Swap I did with user Gigi. 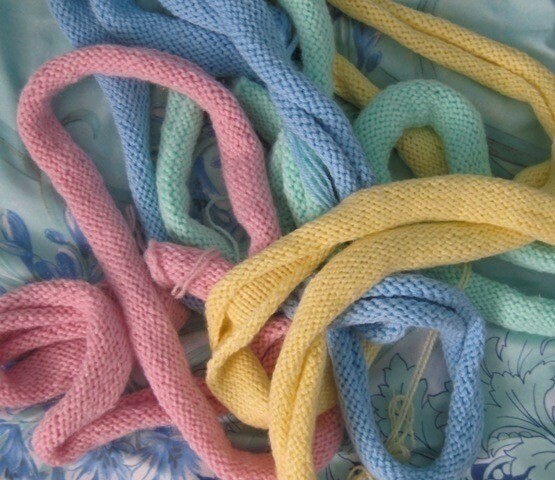 I wanted to make something different than an ordinary scarf so I decided to knit up long pieces and later braid them... first I did braid three but found the scarf rather thin so I added another colour (green) I think it looks like a marshmallow twist... in shape, texture and colour. 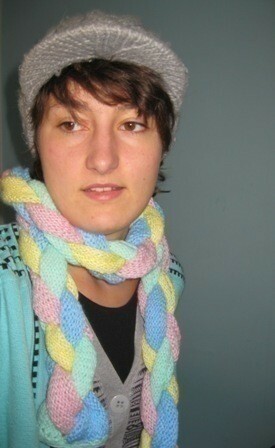 With yellow cast on 240 stitches and work 17 rows in stockinette stitch. Losely cast off all stitches knitwise on 18th row. 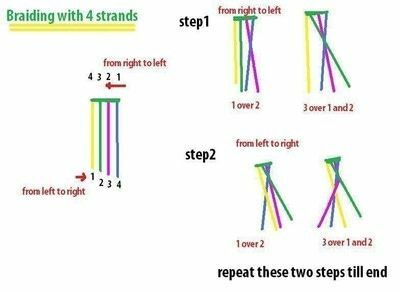 repeat this step for blue, green and pink. lay the pieces on top of eachother like you would roof tiles. 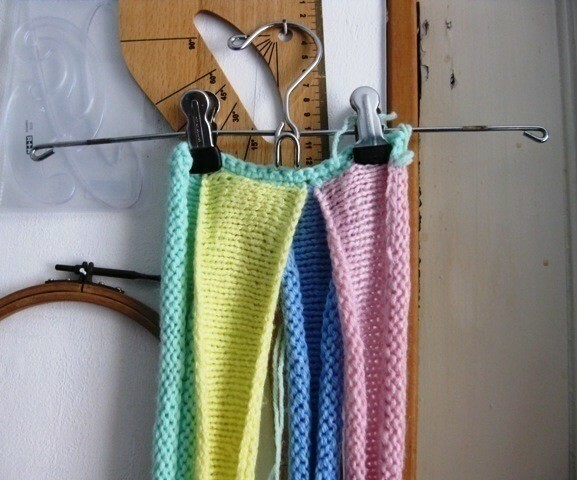 With the knit side up and purl side down hold them together using paperclips. Now single crochet two rows onto the edge. Hang the scarf onto a hanger and hang it high enough so that the pieces do touch the ground but are not laying onto it. 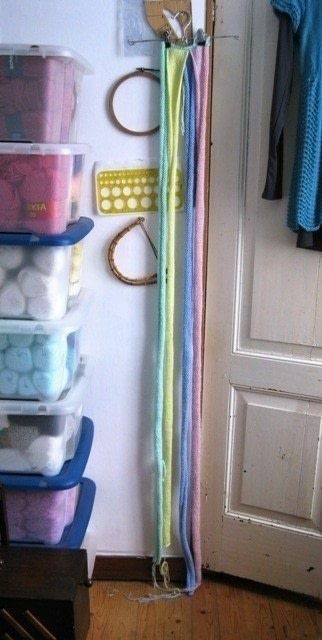 This makes it easier to braid. 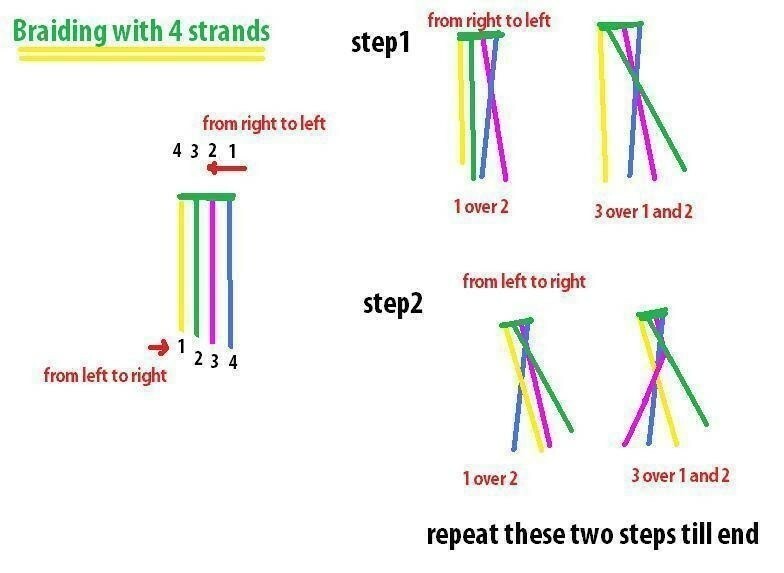 from right to left and left to right and repeat untill you reach the end of the scarf... if the pieces are not all the same size adjust them a bit by pulling and use a paperclip to hold them together. This is adorable! I just might make one in navy, lime and black to match my coat!